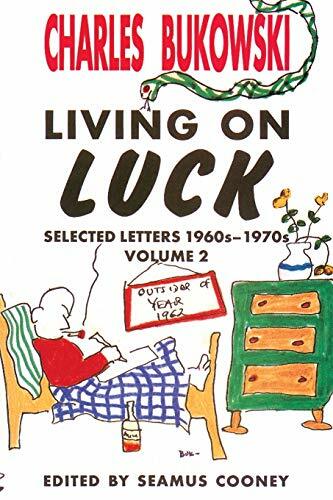 Living on Luck is a collection of letters from the 1960s mixed in with poems and drawings. The ever clever Charles Bukowski fills the pages with his rough exterior and juicy center. Look out L-A-N-G-U-A-G-E poets, Beats, and bad-boy= comedians. Bukowski was running the show long before you. He's the guy you either love to love or love to hate. Big-mouthed, bold and brassy as always, Bukowski lets loose in this eclectic collection of letters, poems and drawings. An excellent addition to his poetry, Bukowski's letters depict a male heart that looks like it's encased in black leather. Look again; it's red-blooded, warm and blatantly honest.